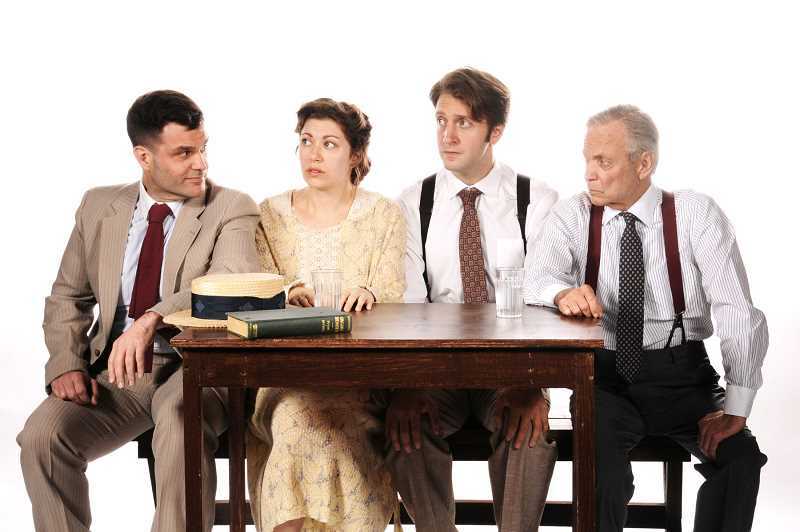 Lakewood Theatre Company will open 'Inherit the Wind' tomorrow, Nov. 2. Get tickets now. 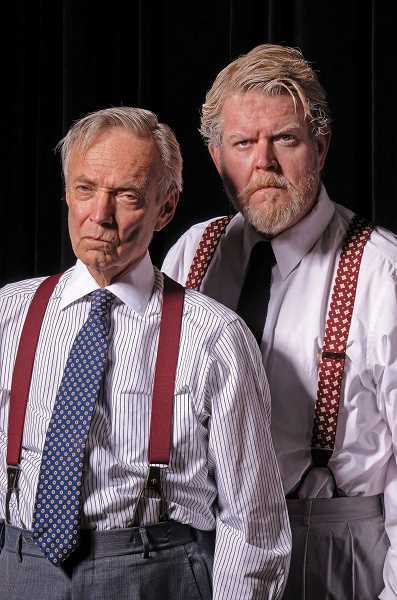 Lakewood Theatre Company continues its 66th season with "Inherit the Wind," an enduring courtroom drama by Jerome Lawrence and Robert E. Lee. Based on the real life 1925 Tennessee case known as the Scopes "Monkey" Trial, two famed attorneys (based on William Jennings Bryan and Clarence Darrow) go head to head in a small town courtroom. In an era where politicians and community leaders still clash over the separation of church and state in the classroom, this timely production shows what can happen when courage takes the stand. Performances begin Friday, Nov. 2 and continue through Dec. 9 with curtain Thursday, Friday and Saturday nights at 7:30 p.m., two Wednesday performances at 7:30 p.m., Sunday matinees at 2 p.m. and Sunday evenings at 7 p.m. Tickets are $34 for adults and $32 for seniors. Discounts are available for students and groups. For additional information on tickets call the box office at 503-635-3901 or order online at lakewood-center.org. The story: In a small Southern town, school teacher Bertram Cates (Jim Vadala) has violated a state law and prepares to stand trial. His offense? Introducing the theory of evolution and the teachings of Charles Darwin to students in his high school classroom. The act has led to his condemnation by local leaders, including the Rev. Jeremiah Brown (David Sikking), whose daughter Rachel (Olivia Weiss) is engaged to Cates. The town buzzes with excitement as Cates' trial date draws closer and brings with it Matthew Harrison Brady (Todd Van Voris), a three-time presidential candidate, Biblical scholar and staunch oppose of evolution who is appearing for the prosecution. Meanwhile news reporter E.K. Hornbeck (Ian Goodrich) has convinced the equally famous Henry Drummond (Allen Nause), Brady's long-standing acquaintance and adversary, and one of the most controversial legal minds in America, to defend Cates. By getting Drummond to appear in court, Hornbeck has ensured that the case will be newsworthy and that his newspaper, the Baltimore Herald, will have full coverage of the trial. The townspeople settle in for the landmark trial of the century as two well-respected men and leaders argue for the freedom of beliefs from different sides of the stand. LTC's production of "Inherit the Wind" is directed by Antonio Soera. The Wine on Wednesday (WOW) program continues Nov. 14 and Dec. 5. For people ages 25 through 35, tickets are priced at $25 each. On Nov. 14 one hour prior to the performance there will be a complimentary wine tasting hosted by World Class Wines; Dec. 5 one hour before the performance there will be a complimentary whiskey tasting hosted by Trail Distilling. Performances are held at Lakewood Center for the Arts, 368 S. State St., Lake Oswego. Call 503-635-3901 or visit lakewood-center.org. Is your float ready for the parade? Is it time to have your emissions tested? Why Cancer, Heart Attack or Stroke Care Planning?